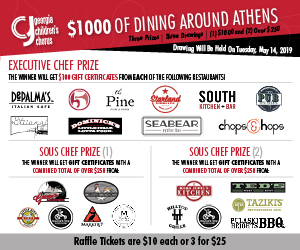 Click on THIS FORM to purchase tickets for the Georgia Children’s Chorus Raffle! The raffle drawing will take place on May 14, 2019 at the GCC Give Voice to Your Dreams…Sing! Spring Concert. You do not need to be present at the concert to win. HURRY! BUY YOUR TICKETS NOW! THEY ALSO MAKE GREAT GIFTS!